15.5" x 23" x 12"
40" x 11" x 10"
16.25" x 10" x 10"
38" x 6.5" x 5.5"
46.75" x 6" x 6"
42" x 9" x 6.75"
58.5" x 17" x 13"
Myford's interest in aluminum began in 1970 when he attended a workshop sponsored by Alcoa at the Art Center in Pittsburgh. " I fell in love with aluminum as a material." 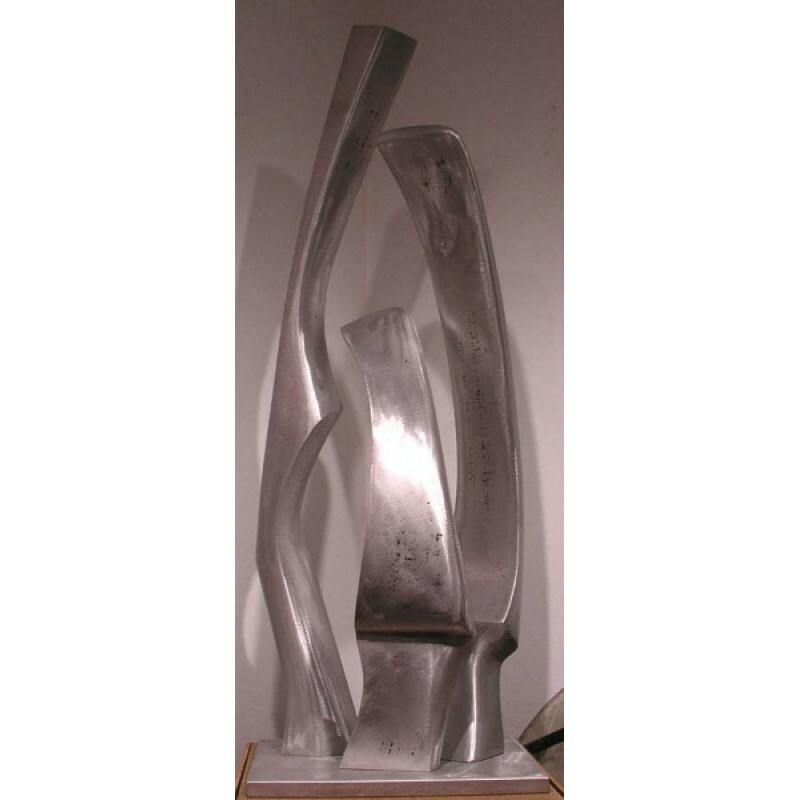 Myford then began creating contemporary aluminum sculptures by using the casting process. 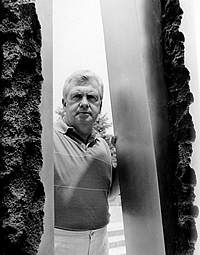 He had the first one-man art exhibit of his works in Pittsburgh in 1972. The eighteen pieces of work produced for the show ranged from twelve inches to four feet. Several of these pieces were purchased by Pittsburgh art collectors. Thus his life as a sculptor was launched. 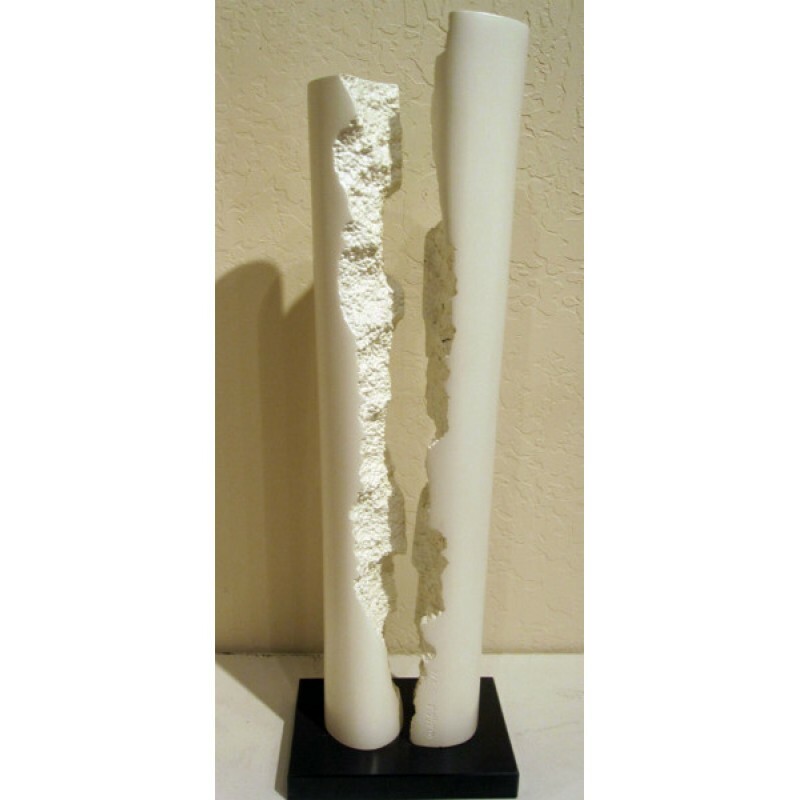 Over the years Myford has created and sold many sculptures to both private and corporate collectors. He typically produces about fifteen pieces a year and can be working on as many as five or six at a time. Larger sculptures can take up to six to ten months to complete. My approach to form is an extension of the concern I have for man to develop, improve, and enrich his environment. This idea became an important part of my behavior as a child. The urge to shape dirt, the selection of specific shaped stones from the small stream behind the home where I grew up, and the use of these choice stones to construct a wall or enhance the layout of a flower garden, were a part of my daily life. I enjoyed working with various kinds of materials: metal, wood, paint, clay, plants, stone, etc. I became excited while working with these materials, with their various physical properties and different characteristics. Materials become humanized--when rearranged by my ideas, feelings, and hands. This concept has been the root system, the inspiration, and the energy source for my sculpture. These ideas frequently appear in organic-like shapes; most often expressing a subtle inner strength gracefully interacting with space.